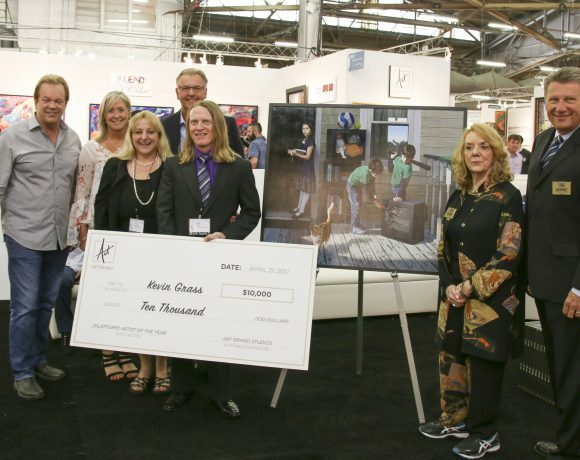 This year and for the first time ever, Artexpo New York proudly hosts its newest community partner, the American Cancer Society. 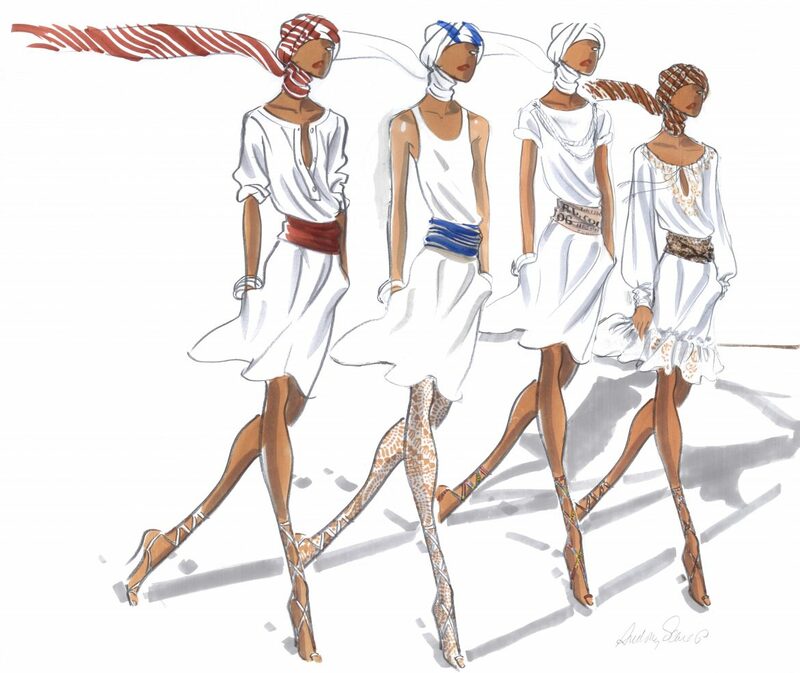 Featured in a space in Lounge 90 on the Mezzanine, the American Cancer Society will be highlighting the artwork of Audrey Schilt, renown fashion illustrator, artist and breast cancer survivor. We had the opportunity to speak with Audrey and ask her a few questions about her artistic endeavors. 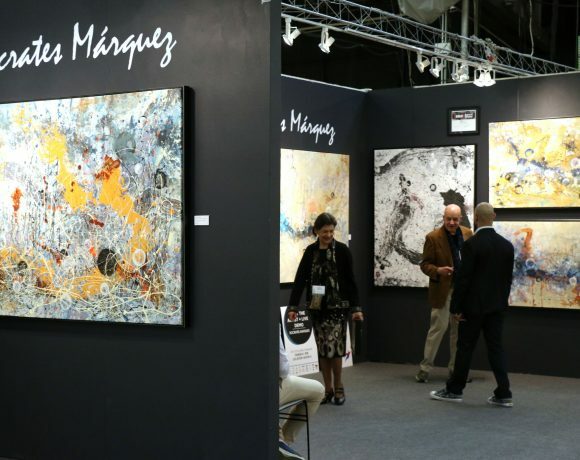 We were fascinated with her story and invite you to read about her journey—and visit her at Artexpo New York, April 4—7, 2019. ABN: When did you first become involved with art? Audrey: I never thought about becoming involved with art because I have been an artist since I was able to hold a crayon. My mother tells me I was always sketching something. I remember early on I loved sketching houses. Then it was people—I loved portraits. They hung one of my color portraits in the auditorium of my school when I was in the third grade. I remember feeling so proud, yet astonished that anyone would think that much of my art. It was a natural progression for me to continue my art and for it to propel me forward into high school, college, and onto the world of fashion. I just went where it took me as I did not have the means to choose my own path. I was so lucky to have so many great mentors who opened doors for my work, including Halston and Bergdorf Goodman. I did major ads for Bergdorf for 8 years while sketching hats and working with him on his very first women’s clothing collection. I sketched Jacqueline Kennedy’s pill box hats along with all her other hats. This way, he could see what she looked like without messing her hair up when she was traveling and needed a hat designed. She kept my sketches with her hat collection and they were sold at Sotheby’s along with her hats. 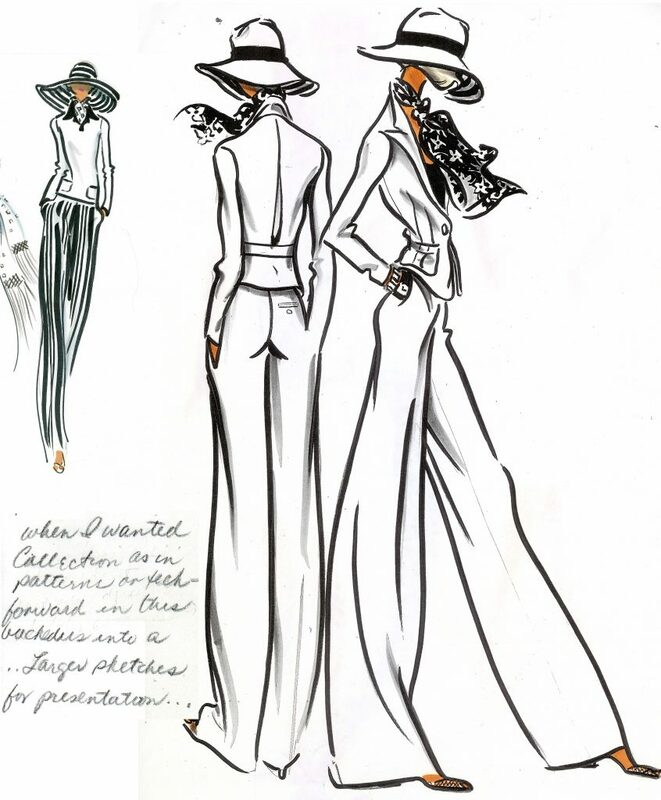 In my early career, I was the youngest fashion illustrator doing work for major stores and a designer like Halston. ABN: Tell us the evolution of your art from the past until today. What’s different today than what you imagined at the beginning of art becoming your career? 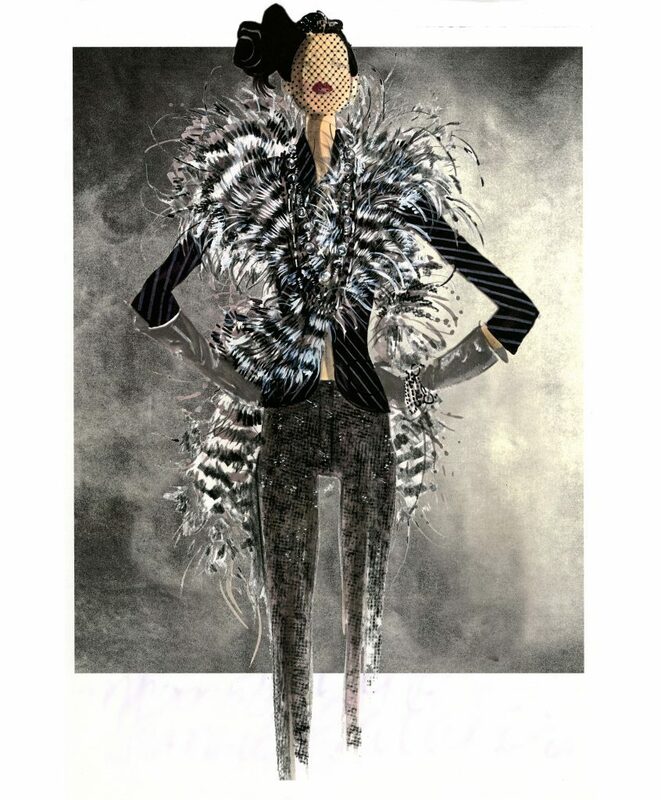 Audrey: In the beginning, there was a substantial need for fashion illustrators. There were agents and representatives who could earn a living working with multiple clients using this art form to sell product. There was a lot of human interaction and meetings, connecting on a more human level. It was easy to form more lasting relationships artistically and emotionally. It was not as isolated as it is today with the advent and use of technology. When speaking to someone, there wasn’t room for misinterpretation—explaining your ideas or your conceptions garnered an immediate response. Today, on the other hand, connecting with people through technology can often cause a breakdown in communication and results. Eventually, as fashion illustration gave way to photography, I went back to the Fashion Institute of Technology and learned patternmaking and drapery. This added greater depth to my illustrations and my sketches took on a deeper understanding and I grew from an illustrator to a designer. 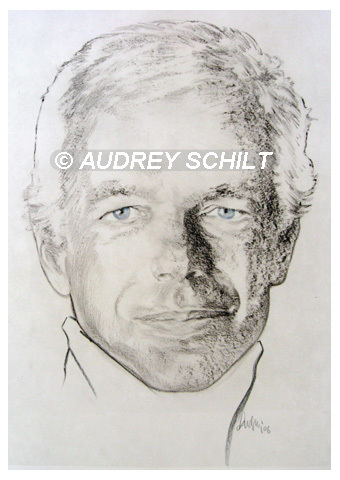 Getting a conceptual artist job at Ralph Lauren planted seeds of love of art and design. It was the perfect place to learn about my talent but also about life. The universe once again brought me forward to where my art belonged. I never imagined in the beginning that I would be working in the biggest American design house, with the genius of Ralph Lauren. My sketches seemed to inspire. They had personality that brought out more in the presentation of the design. The pattern makers would tell me how inspired they were to work with my sketches because it brought them a sense of self-esteem in their own art form. 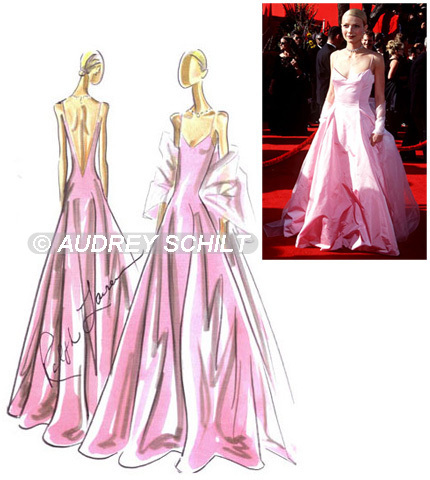 Ralph also seemed inspired and it triggered many amazing creative ideas such as Gwyneth Paltrow’s memorable pink dress that she wore to the 1999 Academy Awards. One of my first concept ideas I gave to him in a naïve moment was to do a Polo Bear. This wasn’t a typical idea for a fashion house and his reaction was, of course, “What?” And my response was, “You know like a mascot.” I felt like a fish out of water in a roomful of people that were at this point, laughing. So I shut up and figured that was the end of it. A few days later, he made a deal with Steiff to create the Polo Bear, which has become an icon for his company. ABN: What inspires your work? Where do your ideas come from? From an artist, a culture, a period of time? My ideas come from various places depending on what is needed, in any assignment I’m given. 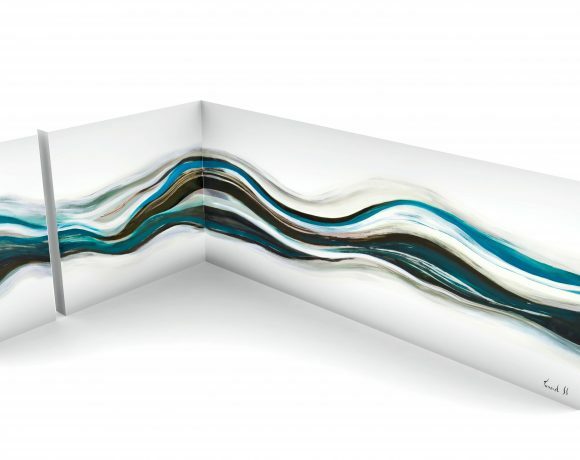 The beach, ocean, sand, rocks, and shells often trigger ideas, concepts and paintings. But, ultimately, it’s the people in my art that somehow bring me a sense of joy and love for my art. ABN: Tell us about the transition from designer and creative director to artist. Audrey: The transition wasn’t easy. Working with other creatives during my career was very inspiring. Being in the world of Ralph Lauren exposed me to the best fabrics and so many talented people with style, great taste and beauty. Having Ralph Lauren as your mentor was a lesson in editing, good taste, style, authenticity, focus, marketing, branding, and even government. Believing in yourself and in your art—the choice of colors, style, and subject are all on me now. No feedback, no one to choose one sketch over the other. It’s my responsibility now. It’s allowing my true self to come through and be seen without the support and luxury of having everything at my fingertips. Art is a lonely process. You are in your studio alone. Your thoughts are your own. There’s no bouncing ideas off one another. There’s no one to decide on skin tones, brushstrokes, composition, color, relating one figure to the other. It’s no longer about the garment, it’s about creating an emotion. Fortunately, I always tried to do this as a creative director of art at Ralph Lauren. My job to inspire, I guess, continues in this transition. There’s always an emotional connection I put into my work but now it’s between myself and my new audience, art lovers, patrons, and others. I’m always working to find this connection. ABN: What is your involvement and collaboration with American Cancer Society? How did that begin and what success have you had based on the collaboration? 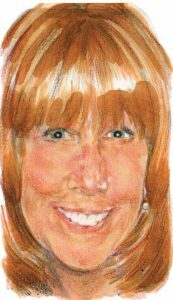 Audrey: I continue to feel very fortunate having been a survivor of breast cancer. There is a very deep history of cancer in both of my parents’ families. That history, and my own bouts with skin cancer, breast cancer, and pre-cervical cancer and the related surgery, radiation, and follow-ups, taught me the emotional torture of never knowing if it was really gone. If it’s going to pop up somewhere else. It’s very scary! Until it happened to me, I never knew the dread attached to it, the strength it takes to remain positive; to have faith, hope, and courage to move forward. To know you’re not alone even though you feel so alone. That’s when I created the image of people walking forward hand in hand with the words “We are one.” It encompasses my love of people from different walks of life moving forward together with the American Cancer Society. I am proud to say it all began with my son’s connection to the American Cancer Society. Due to his own success in the music industry, he was asked to sit on the board of the American Cancer Society. Of course, this charity and its work resonated with him because of our deep family experience with this disease. When he told me about his position, I joined in to be part of helping in any collaboration with my work. It’s an honor to be able to use my talent to help the American Cancer Society in saving lives and finding the cure to cancer. ABN: Goals for today? For the future? Audrey: My goals for today are to continue to use my art to help others by collaborating with the American Cancer Society to raise funds in the fight against cancer. I plan to work with my son on future art exhibitions and concepts where proceeds from the sale of my art will go to ACS and fund crucial life-saving programs and initiatives. For my personal goal, I’d liked to create more art that continues to give me the energy to stay on this lifelong path that has been my purpose. To stay responsible to my gift which helped build empires like Polo Ralph Lauren and extend it to other collaborations with people doing good work for good causes; to inspiring other artists, designers, creative thinkers to never give up. To make a donation to the American Cancer Society, please click here.